It is the autumn of 1797. The war between the British and the French is being fought not just openly but also in secret by a network of spies. Reluctant heiress Mary Finch is no stranger to adventure, but even she hesitates before accepting this assignment: to travel secretly to Paris and disrupt vital Franco-American negotiations. She must rely wholly upon a stranger while deceiving her "dearest friend," Captain Robert Holland. Once in France, Mary’s safety rests on a knife-edge, and her colleague has secrets of his own. Undaunted, she sets about her task with wit, stealth, and determination. But she is not the only spy in Paris, and there is more than one British life in jeopardy if she fails. As implacable enemies join forces against her, Mary may lose everything. 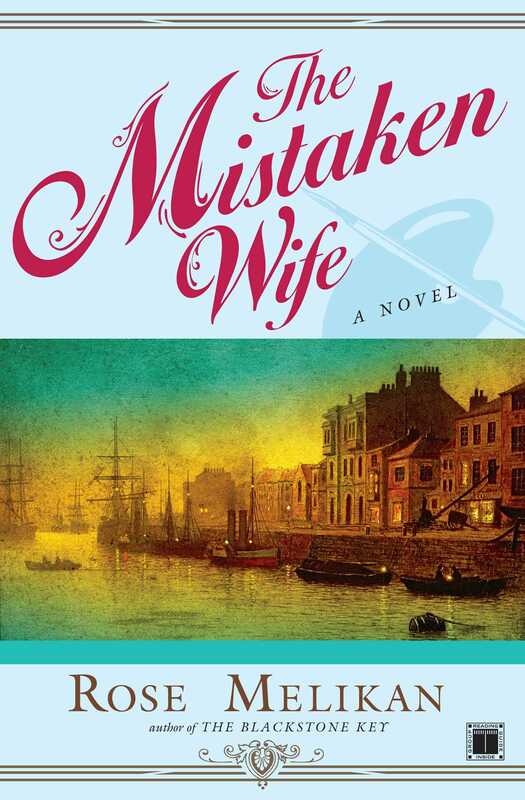 This reading group guide for The Mistaken Wife includes an introduction, discussion questions, ideas for enhancing your book club, and a Q&A with author Rose Melikan. The suggested questions are intended to help your reading group find new and interesting angles and topics for your discussion. We hope that these ideas will enrich your conversation and increase your enjoyment of the book. Mary Finch is feeling dissatisfied with her sedate life in the English countryside, so she is thrilled when the mysterious Mr. Shy once again offers her a chance to spy for her country—only this time, she must travel to Paris, the heart of enemy territory and the scene of so much Revolutionary violence. Keeping her plans secret—even from the dashing Captain Holland—Mary becomes the “wife” of an American artist, Samuel Vangenzen. Vangenzen reveals to Mary that he is already married to a former slave, Minta, with whom he lives in Paris. The two women are wary of each other, especially as Mary’s efforts to disrupt important Franco-American negotiations expose both the Vangenzens to danger. Mary’s difficulties grow when she discovers that Captain Holland is also in Paris, charged with recovering a strange new invention that could turn the tide of war. She and Holland must hurry to complete their tasks while avoiding the suspicions of the French authorities, including their old adversary, Paul Déprez. But Déprez has a score to settle, and when he joins forces with the dangerous Sergeant Fondard, the net begins to tighten. Can Mary and Holland protect their friends, smuggle a secret out of France, and win through to England? 1. In the first chapter, Mr. Shy summons Mary from White Ladies to give her a very important task. The French must be “distracted” (p. 14) and Mary is just the woman to do it. What is her mission and what its significance in the larger conflict? 2. Discuss Mary and Holland’s relationship at the beginning of The Mistaken Wife. Why is it so strained and how much do societal pressures influence them? 3. Mary sets sail for France with her new “husband”, the artist Samuel Vangenzen. On the deck of the ship, he tells her about himself. Discuss Vangenzen’s philosophy and his thoughts on idealism. Do you agree with him? 4. In Chapter Five Mary comments, “Marriage is really a terrible business.” Compare the different marriages that exist in the book. Does marriage have the same value for Mary as for others in her world? 5. When we first meet Sergeant Fondard, he is helpful and obliging to Mary and Vangenzen. Very quickly, we see another side of the man, once he reaches Paris and begins to conduct his official business. What do we know of Fondard and his abilities from these initial scenes? 6. Mary finally meets Vangenzen’s wife, Minta, in Chapter Eight. Discuss their initial meeting and how they slowly break the ice. Do Minta’s feeling arise from jealousy, or does she harbor other concerns? 7. Mary feels that “everywhere one turned in Paris there was evidence of violence and death.” (p. 111) What is the atmosphere in the city like after the Revolution? What can you tell about the lives of the citizens that Mary meets? Was the outcome of the Revolution mostly positive? 8. Robert Holland, an artillery officer, is brought in to consult with the British Navy on rumors of a “sea monster.” What is behind the tall tales and fears, and how does the Cerebus factor in? 9. In Chapter Nine, Mary finally gets to meet Mr. Marshall, one of the American envoys. How does the meeting go? Does Mary come away satisfied with her ability to carry out her mission? 10. At the end of Chapter Nine, Minta remarks, “The world outside is nothing to me.” What is she saying here? Do you sympathize with her feelings toward Mary and her mission? How do the differences in the women’s lives contribute to the way they experience the world? 11. On page 147, Mr. Shy writes to Jens about a certain consignment of Dutch prints. What is being said in this coded letter? What implications does it carry for Mary and Captain Holland? 12. In Chapter Twelve, Boyle, the inventor of the Ammonite, comments that “war creates a great mass of unproducers.” What is he talking about here? Why are his views on war so remarkable for someone like himself? Do you agree with him? 13. Colonel Paul Déprez plays a critical role in the fates of Mary and Holland. In chapter nineteen, he meets with Sergeant Fondard. What do you think of the actions of Déprez? Is he an honorable man? How does he compare with Fondard? 14. Minta meets a tragic end at the hands of Fondard. How much is she responsible for her own fate and how much is due to Mary? Discuss your feelings about Minta throughout the book. Do you sympathize with her and her ultimate decision to write the letter to the police? 15. Discuss Mary’s talents as a spy. What scenes in The Mistaken Wife show Mary at her most talented and effective? Which ones prove that she still has a lot to learn? For those of us who aren’t familiar with international politics at the end of the eighteenth century, what was the main source of conflict between Great Britain, France, and America? Relations between the three nations in the autumn of 1797 were a direct result of the American Revolution. During that conflict France and the United States had concluded a treaty that pledged mutual support and forbade either from entering any treaty that was not to their mutual benefit. When war broke out between France and most of the rest of Europe in 1793, however, the United States had declared its neutrality, and the following year had concluded a treaty with Britain that protected American merchant ships and provided for trade with the British West Indies. France called this a violation of the earlier Treaty of Amity and Commerce; the U.S. argued that the fall of the French monarchy had rendered any agreements made by that government void. France responded by authorizing its privateers to seize American ships, a policy that the U.S. was powerless to resist, as it had no navy to speak of. Before he left office in early 1797, President Washington tried unsuccessfully to open negotiations with the French government. His choice of envoy caused anger in Paris, as did the combative remarks by President Adams in support of Neutral rights. Adams nevertheless wished to avoid an open conflict, and in the spring of 1797 he authorized a three-member commission consisting of Charles Pinckney and John Marshall (both Federalists and tending toward Britain) and Elbridge Gerry (a Republican and Francophile) to proceed to France for negotiations. If your readers would like to learn more about the French Revolution and its aftermath, what books would you suggest for an amateur historian? Not surprisingly, this is a fascinating topic for historians. There are many good books out there, some focusing more on the political and ideological changes that marked the various phases of the Revolution, and some examining the social and economic consequences of those changes. The conduct of the Revolutionary and Napoleonic wars constitutes another large category. Two excellent general introductions are Christopher Hibbert’s The French Revolution (Penguin, 2001) and the Oxford History of the French Revolution by William Doyle (Oxford University Press, 2002). Either would also guide an interested reader to more specialist works. You do a wonderful job evoking post-revolutionary France. Can you tell us a little more about the atmosphere that pervaded the country at the time? What research did you do to learn about the daily life of the ordinary French citizen? Thank you! It is probably helpful to distinguish foreign and domestic concerns during the period of the Directory (1795-1799). Military victories kept the mood buoyant as regards national security; France no longer feared invasion and was growing used to victory and the acquisition of territory. On the domestic front, however, the atmosphere was decidedly jaded. The first phase of the Revolution had witnessed purges and atrocities committed against the Right and the Left, and this resulted in mutual distrust among the surviving political parties and a loss of faith in government of any description. The Directors, for their part, did little to inspire any positive affection for this form of government. As regards conditions for ordinary French citizens, a fair amount can be gleaned from what we know generally about the French economy during these years. Poor harvests, inflation, and a workforce depleted by mass conscription would have had a profound effect on most people’s daily lives. In addition, I found travelers’ accounts particularly illuminating. English, Irish, and American visitors have left detailed descriptions of prices, conditions, and local attitudes before, during, and after 1789, and as I was primarily interested in France as experienced by Mary and Holland, the details that had impressed other foreign visitors were especially relevant. The Mistaken Wife features Mary Finch pretending to be married, even as she struggles with the idea of marriage to Captain Holland. Was marriage a necessary fact of life for an Englishwoman in Mary’s time? For most eighteenth-century women, spinsterhood meant failure at some level. The average woman had far fewer economic opportunities than did the average man, so marriage was a means of obtaining financial security. Social and religious standards impacted more harshly, too, on women. Irregular domestic relations could provoke censure on both sexes, but the image of the “fallen woman” had no masculine counterpart. Only through marriage, therefore, could female sexuality be expressed. However, marriage was also a potentially dangerous business. At common law, a married woman had fewer legal rights than an unmarried woman; the principle of coverture meant that husband and wife were considered a single legal person – namely, the husband. In consequence, a married woman could find herself unable to act against a brutal, overbearing, or incompetent spouse. A woman might choose, therefore, to maintain her independence, but many could not afford to do so. Minta is a wonderfully intricate character. What inspired you when creating her? Some of my characters occur to me first as personalities, while some begin life as plot devices – I need them to make the plot work. Minta falls into the second category. Once I had decided on the basic aspects of her situation, however, I thought quite a lot about how a woman in that situation might behave, and she gained a real personality for me. I was particularly interested in contrasting her view of the world with Mary’s. They are both strong, determined young women, and they have a natural affinity for each other. They find the same things funny, and they want to help each other. Society has placed very different restrictions and expectations upon them, however, so that they choose very different paths and arguably, never really understand the other’s point of view. Did you enjoy researching real-life examples of the Ammonite? Do you think a successful launch of such an invention would have made a difference in the conflict between France and Great Britain? I found it fascinating to learn how close David Bushnell and Robert Fulton came to perfecting their submarines. The earlier work of Cornelius Drebbel is much more mysterious, but we know quite a lot about the Turtle and the Nautilus, particularly the latter, and we can speculate as to the effect that it might have had on naval warfare of the time. I am far from an expert, but it seems to me that the Nautilus could have been extremely important, particularly during that phase of the war when a French invasion of Britain was a real possibility. A successful attack on the Royal Navy and British shipping in home waters, coupled with the fear that a conventional assault by French troops was imminent, could well have forced British politicians to make peace. What was Tallyrand’s perceived role in the affairs between France and America? What do you believe he did or didn’t do? Despite his protestations of innocence when the story broke in France – via the British newspapers – there seems little doubt that Talleyrand not only knew of the ‘private’ approaches made to the American envoys, he authorized them. The more interesting question is why he did this, and a couple of explanations suggest themselves. Firstly, he may have believed that the money demanded (a large loan to the French government as well as his own “fee”) would be forthcoming. Payments to oil the wheels of diplomacy were certainly not unknown, and Talleyrand and his colleagues in the Directory were notoriously corrupt. Furthermore, if the United States meant to honor its original treaty obligations to support France, financial aid was a more realistic request than military assistance. The American government had begun the process of rebuilding its navy, but only three ships were due to be launched in 1797, and a force of that size was unlikely to trouble the Royal Navy. On the other hand, the American negotiations may have seemed to Talleyrand more a distraction than a genuine cause for concern. So long as an alliance with Britain was avoided, a resolution was not so very pressing. If the envoys agreed to the terms, well and good, but while they dithered, French privateers could continue to prey on American ships. Do you find yourself growing more attached to your main characters with each book? Have they developed differently from what you initially imagined? I wouldn’t say that I like them more or less, but I definitely understand them better! Partly that is a consequence of having placed them in more varied situations over the course of three books, but I have probably also come to reflect more carefully about characters’ behavior and motives. More than once I have had to re-think a plot point because it does not work with one or other of my principal characters – having given them certain traits and tendencies, I’ve got to respect them. I don’t think that any of my main characters has changed radically from how I first imagined them, but some were “born” ambiguous – I always considered them capable of honesty and dishonesty, of heroic or selfish acts. So, I haven’t always known which way they will behave until the particular situation arises, or even whether they will live or die. Some have died and then been revived, while others have suffered fatal reverses of fortune. Is Mary ahead of her time, or does she represent a new way of thinking at the end of the eighteenth century? Mary is certainly not unique in being affected by contemporary political and intellectual debates and in having interests beyond those of the household. Eighteenth-century Englishwomen ran businesses, joined political reform societies, and wrote on subjects such as education, literary criticism, and theology. Their adoption of “masculine” roles in English society occurred in small numbers, however, and would still have been considered unusual in individual cases. Cuthbert Shy recognizes this when he sends Mary to France. The very fact that a young woman in her situation would not readily be suspected of “intelligence” helps to convince him that she should undertake the task. What do you have planned next for Mary? Is her role as a spy going to change as the war between England and France comes to an end? I haven’t decided yet how Mary and Captain Holland will fare in the immediate future, though I think they probably deserve a little time alone. We should remember, however, that the Treaty of Amiens lasted for little more than a year – from March 1802 until May 1803. When hostilities were resumed, they continued for another twelve years. Might the return of British forces to the continent of Europe finally bring Holland his field commission? Might the conduct of the war also create new challenges for Mary? Time (and Mr. Shy) will tell! Rose Melikan was born in Detroit, Michigan. 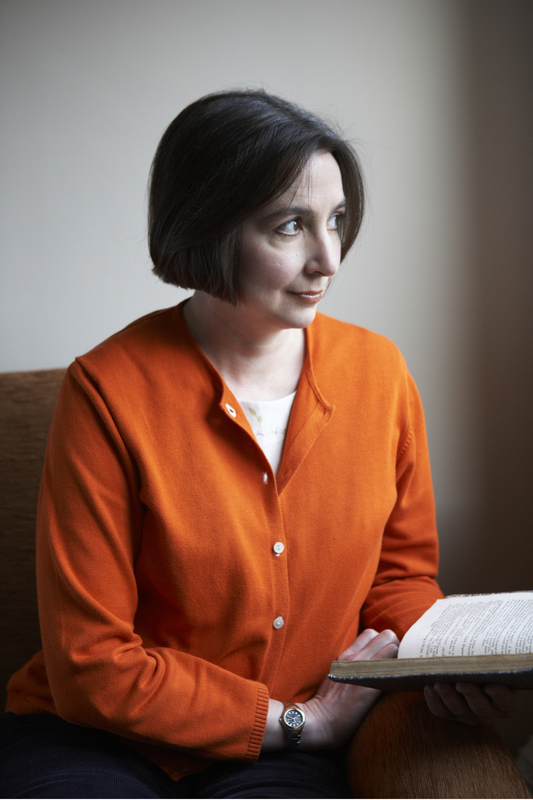 Since 1993, she has been a Fellow of St.
British political and constitutional history. She lives in Cambridge, England with her husband.